It’s Monday. The weather is hot and calm. We’re trolling 50 miles off Virginia Beach when a marlin appears in the spread. “Right long rigger!” the captain yells from the bridge. It’s Tuesday. The weather is hot and calm. We’re slow trolling live bait along the edge of Norfolk Canyon. A hole opens in the ocean and one of the baits disappears in a violent strike. “Right long rigger!” the captain hollers. It’s Wednesday. The weather is hot and calm. We’re pulling teasers and dredges east of the 100-fathom drop. A single angler stands in the cockpit holding a long, thin fly rod. “Right teaser!” the captain screams. Mid-Atlantic marlin fishing is so hot that anglers are catching fish every way possible. And it only takes a simple spread for small-boaters to get in the game. From trolling plugs to pitching flies, if you like marlin fishing, just head to Maryland, Virginia or North Carolina this summer. 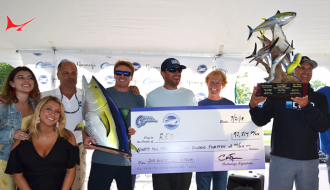 Marlin show up off North Carolina’s Outer Banks as early as April. Big blue marlin are the first sentries to pull into the warm Gulf Stream water rushing along the 100-fathom curve off Hatteras. Anglers leaving Hatteras Inlet can hit the hot spots like the Rock Pile, Big Rock and peaks and canyons along the 100 fathom drop. May and June are the best times to score big blues. A hungry blue marlin cannot turn down a blue and white Ilander skirt and horse ballyhoo but tournament rules prohibiting J-hooks in natural baits have had anglers experimenting with large plugs and circle-hook rigged pitch baits. A typical plug spread would include small plugs on the long riggers with larger models on the short riggers, flat line and shotgun positions. Teasers draw blue ones into the spread. Most crews run a squid chain with an Ilander trailer on one side of the boat and a huge plug on the other. Keep a circle-hook rigged Spanish mackerel ready to pitch at a window-shopping blue marlin. One advantage of using plugs is they allow the crew to troll faster than they can with a spread of natural baits. The skipper can cover a lot of water at nine knots looking for a hungry blue one. All it takes is four to six 50- and 80-pound rod and reel combos and a couple teasers, perfect for small boats and enthusiastic anglers. 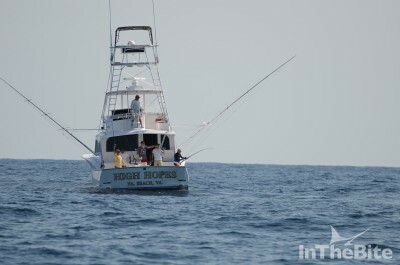 As the season progresses, white marlin and sailfish join blue marlin off Hatteras by late May. These fish will fall for plugs, but most crews switch over to a spread dominated by small ballyhoo on a circle hook, along with squid teasers and dredges. By early summer, white marlin and blues will mix with dolphin and tuna patrolling the edge of Continental Shelf from Oregon Inlet, North Carolina up to Ocean City, Maryland. 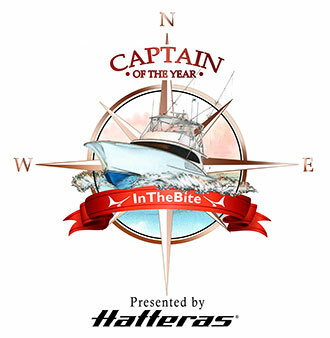 Captains look for marlin wherever warmer water crosses structure carrying bait and billfish. By late summer and early fall, gangs of white marlin follow schools of bait south on eddies swirling along the Shelf. This is when the fun begins. Trolling small ballyhoo on circle hooks in between teasers and dredges is the go-to tactic for white marlin. Tournament pros have honed the spread and the tactics down to its most effective and efficient form, which is an easy fit for a small crew in a small boat. While the big-boys push million-dollar rigs packed with every advancement in bait and tackle, their tournament spread still consists of four small ballyhoo, two teasers and two dredges. The philosophy revolves around a circle hook. Circle hooks save lives. 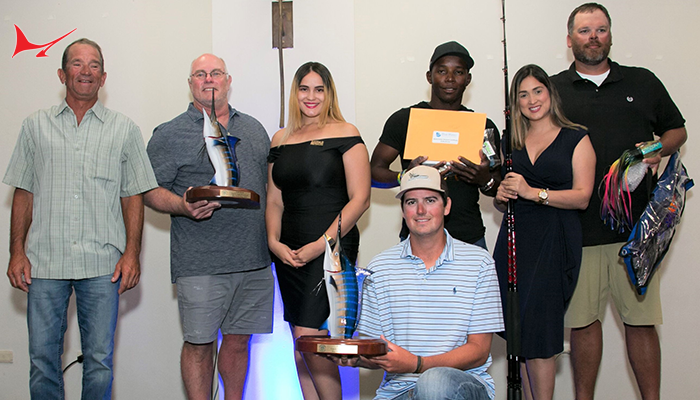 Scientific research has proven that marlin caught with a J-hook have a greater chance of dying after release so anglers have switched over to circle hooks in an effort to help prevent the death of billfish that are intended to be released at the end of the fight. But the switch to circle hooks also requires the angler to be on his A-game. 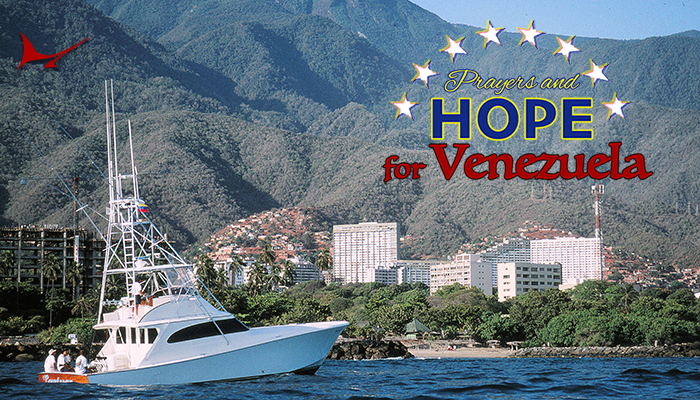 As soon as a marlin shows up, the angler must respond by dropping the bait back to the marlin. To keep things simple, skippers only run four rods. When the bite is firing and competition is hot, the anglers will hold the rods in hand, reels already in freespool, and wait for a shot. There are several ways to rig a ballyhoo with a circle hook. Scientists who study circle hook marlin fishing have determined that using floss to lash the hook to the ballyhoo’s head provides the best hook-up ratio. But most of the pros use a small swivel and light wire to attach the hook to the bait. They argue that the swivel gives the bait better action. However the baits are rigged, a prepared crew will have plenty onboard. Pro mates will rig 100 ballyhoo and tie an equal number of rigs before leaving the dock. The rig is simple. Start with a 30-pound class two-speed reel spooled with 30-pound mono and matching rod. Use a Bimini and no-name knot to attach a 24-foot piece of 80-pound clear mono leader punctuated with a 100-pound ball bearing snap swivel. Add a five-foot leader of 60-pound fluorocarbon with a surgeon’s loop on one end and a 6/0 to 7/0 circle hook on the other. Keep a couple rods rigged and ready as pitch baits and always have a heavier 80-pound class combo ready with a whole Spanish mackerel to throw at a big blue one. Marlin pros reason that running four lines allows the crew to focus on fewer baits while the fish are drawn to the boat by teasers and dredges. Most boats run squid chain teasers with nine-inch squid in a chain punctuated with a large ballyhoo behind a Ilander skirt. Things get crazy when pros build a dredge. Tournament anglers with deep pockets and high ambitions rig dozens of large mullet on multi-level teasers peppered with rubber squids, artificial ballyhoo or mudflaps—rubber fish silhouettes. 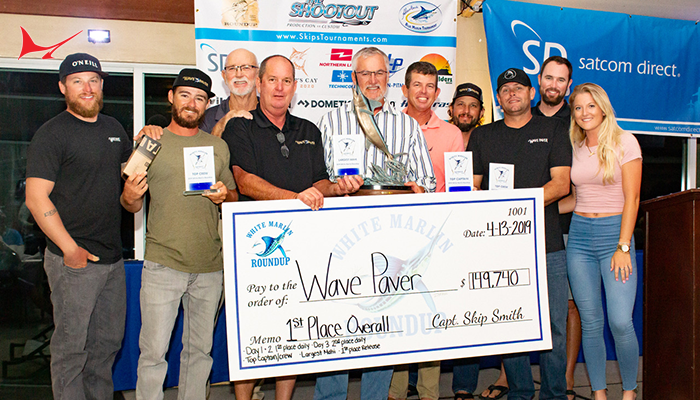 Serious crews fishing for fun will replace the mullet with natural ballyhoo behind a Mylar skirt. For anglers with limited time and resources, a dredge of rubber squid or ballyhoo is simple to use and easy to store. Regardless of the dredge and teaser components, pros carry a variety of sizes and colors to match the bait and weather conditions. On a sunny day, go with lighter colors. On dark days use a darker mix. When the fish are focused on squid, use squid. 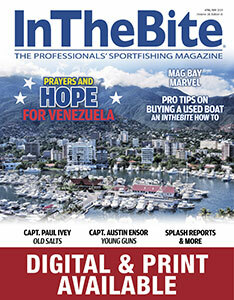 When the marlin are corralling sardines, swimbaits or ballyhoo usually work best. Teaser squids should also be switched to tempt finicky marlin. Green and pink are most common colors, but blue, white and natural teaser squids are also popular. The system revolves around marlin coming to the dredge or teaser and the anglers reacting quickly to put a hook-bait in front of the fish. When the marlin hits, put the reel in freespool, point the rod tip at the water, wait for the fish to run off with the bait and swallow it. When the line starts to scream off the reel, slowly push the drag lever up and come tight on the line. Done correctly, a white marlin will explode out of the water. With one fish hooked, put the boat in a turn towards the fleeing fish, bring the inside baits up and make a circle in hopes of tempting a second or third bite. 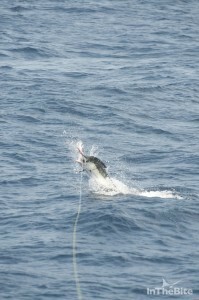 There is nothing in sportfishing as exciting as catching white marlin on circle hooks. This is a perfect game and the sport of kings. 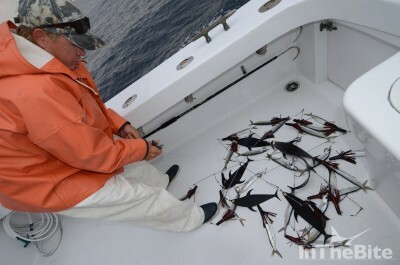 Marlin love live bait. That’s no secret. Anglers all over the world (including the mid-Atlantic) target these fish on live baits. While the tactic is forbidden in most tournaments, slow-trolling live baits can produce incredible numbers of fish. keep the baits lively). Be sure to have rigged baits in the water while catching more bait; marlin will often follow the tinkers to the surface looking for an easy meal. The mackerel is bridled to a circle hook and dangled from the flat lines and long-riggers. Slow-troll the baits just fast enough to keep them on the surface. Pull two squid chain teasers without trailers so the teaser floats on the surface. Circle the bait marks and keep an eye on the lines. A marlin will often take a live bait like a trout rising to a dry fly. When the fish bites, take the reel out of gear to allow the marlin to swallow the large live fish. Many times the marlin will come out of the water with its mouth open trying not to choke on its mistaken meal. Marlin hunt in packs, so expect multiple bites and bring a lot of marlin flags. Anglers fishing live baits often return with 10, 20, even 50 flags flying. One of the most difficult and most thrilling ways to catch a marlin is on fly rod. The boat pulls teasers and dredges to attract the marlin. When a bill shows up, the captain takes the boat out of gear and the angler uses a heavy fly outfit with shooting line and a large, gaudy popper fly to entice the marlin. angler feels every aspect of a white marlin’s spastic and noble personality. It takes a lot of skill and even more luck to fool a finicky marlin with just hair and feathers. But when the two come together, the payoff is as thrilling as any experience on the water. Whether using plugs, ballyhoo, live bait or fly rods, marlin fishing requires simple tackle and easy tactics; perfect for newbies and seasoned pros alike. But don’t be fooled, even if the gear and tactics are basic, whites, sails and blue marlin offer the ultimate challenge. However a crew chooses to chase white marlin, there is no better place in America to encounter epic action than along the mid-Atlantic region in late summer. 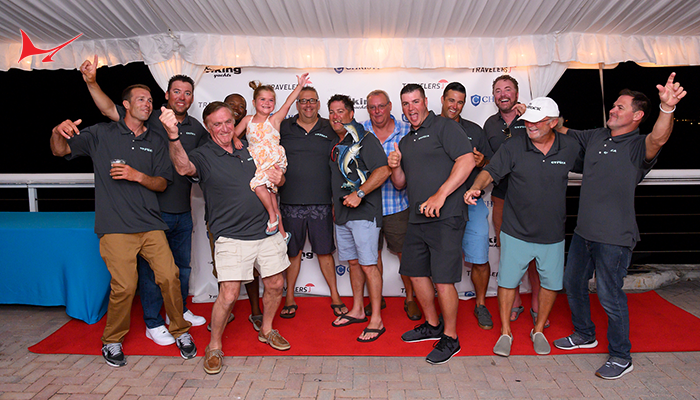 Get in touch with these captains to get down with mid-Atlantic marlin fishing.